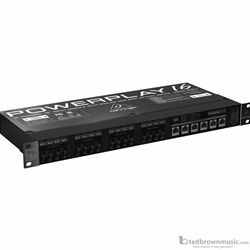 The BEHRINGER POWERPLAY P16 system is the easy, affordable way to give your musicians and vocalists what they really want- "more me!" P16-M Personal Mixers lets each performer take control of what they hear, allowing the engineer to concentrate on providing the audience with the best possible listening experience. Fast and easy to set up, a basic system can be installed and configured in a matter of minutes-and the system can be expanded to adapt to changing needs.